2018 Race Images Now Available! 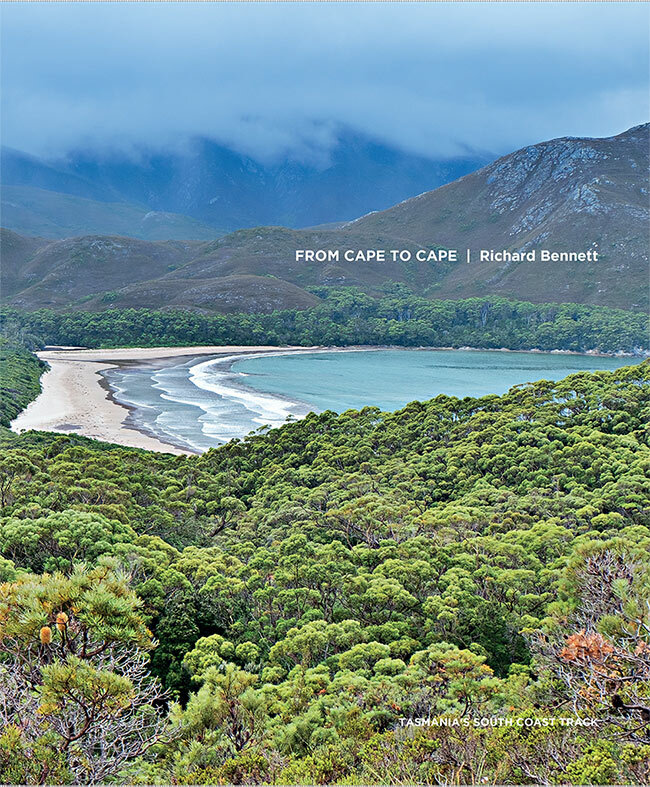 Wild, untouched and beautiful, Tasmania’s South Coast is almost an annual pilgrimage for photographer and adventurer Richard Bennett. In his stunning new book, he shares for the first time his intimate knowledge of this remote wilderness. His photography and insights make the region accessible, and the journey one of comfort for both the body and the soul. Including 192 pages of images and text. This year I'm doing things differently. Again this year I photographed the races from a helicopter using a 50 megapixel camera which enables fine detail. My photograph's are archival and printed on ILFORD Textured Cotton Rag.A 100% cotton rag paper designed to last a life time. Each print is individual. Signed, with the boat name, the event and the year below the image. I can emboss the word “CREW MEMBER”, “OWNERS EDITON” or “SPONSORS EDITION” into the paper. I can also include your name if you wish. The print will be as unique as your experience. It is finished with an embossed studio seal - a mark of authenticity. 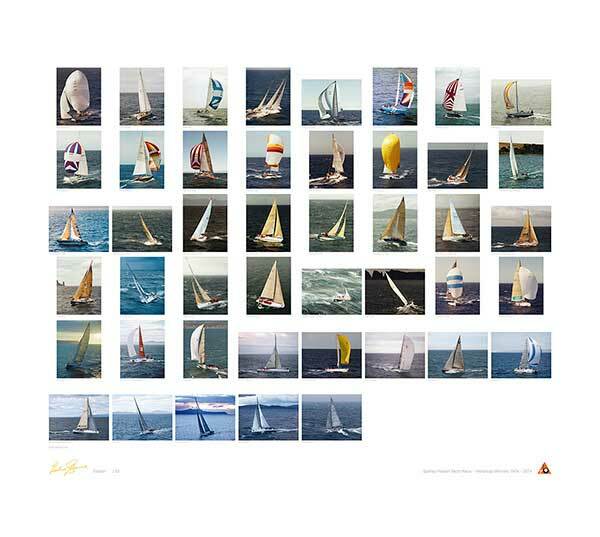 41 years of Sydney - Hobart history in a Limited Edition fine art print. 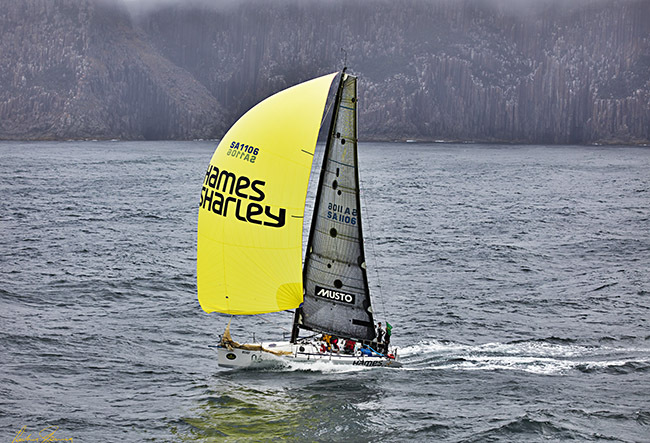 Every boat to win the Sydney - Hobart Yacht Race on handicap from 1974 to 2014. Limited to a numbered edition 50 prints. 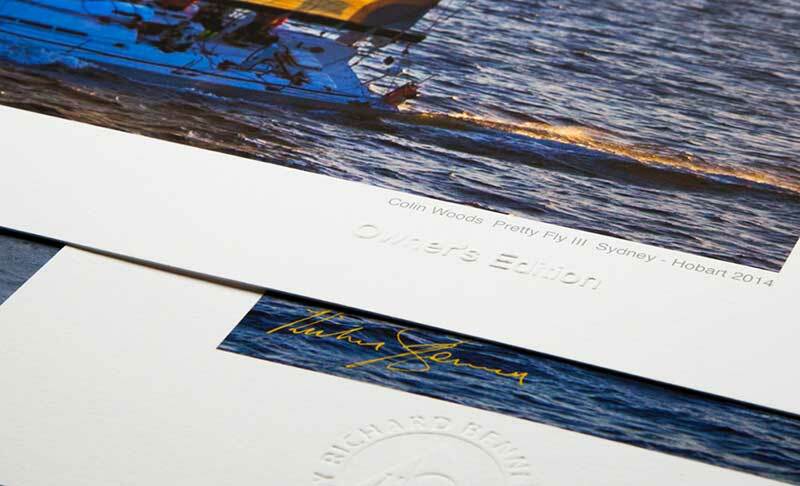 Each print is signed by the photographer and embossed with the Richard Bennett Photography stamp. 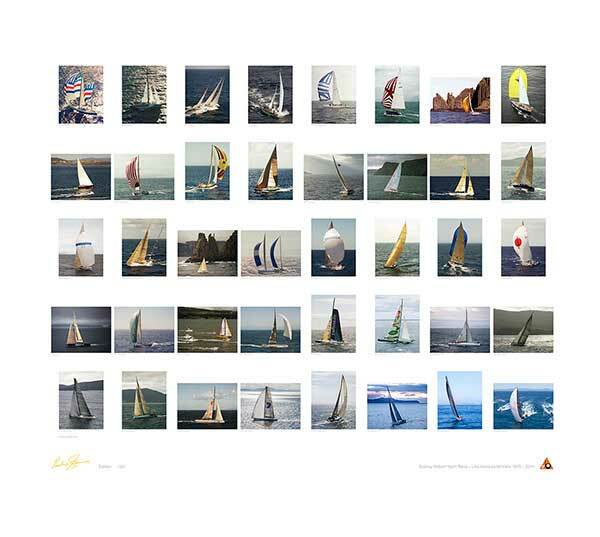 Every boat to win Line Honours in the Sydney - Hobart Yacht Race from 1975 to 2014. Each print is signed by the photographer. 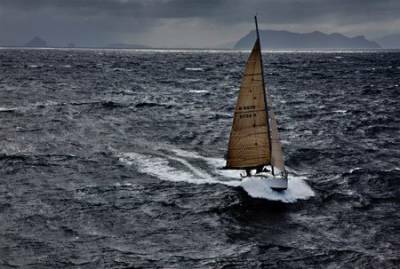 Tasmanian Photographer Richard Bennett, has photographed the Sydney to Hobart yacht race for 44 years. 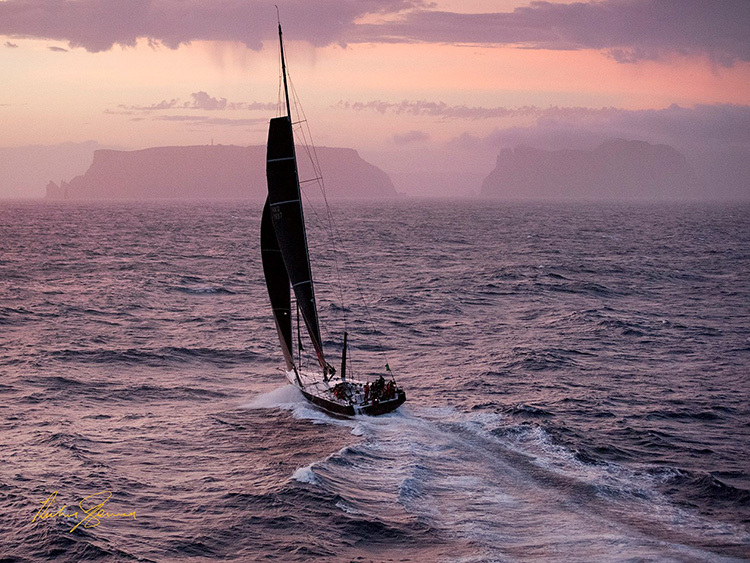 He has developed a unique style as a yacht race photographer, incorporating the rugged Tasmanian coastline, the ever-changing seascape and the yacht in its element. Richard’s career as a photographer was sparked by his love of the Tasmanian landscape, adventure and yachts. Richard started walking in and photographing the Tasmanian landscape at just 17 years of age. From climbing the highest peaks in the South West Tasmanian wilderness, to making first ascents on the first Australian Andean Expedition, Richard became a photographer to share these remote landscapes with others. 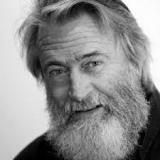 Richard conducts photographic workshops for enthusiast and professional photographers in the remote Tasmanian landscape. 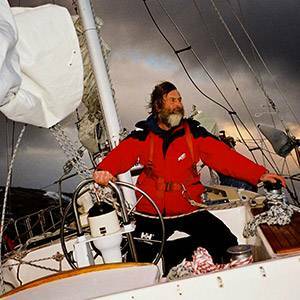 He also conducts keynote presentations for conferences on building a career around the things that you love, featuring beautiful Tasmanian photography and interesting stories such as the 1998 Sydney to Hobart yacht race storm. 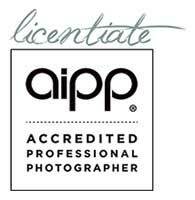 Richard is an AIPP Master of Photography. This photography is a work of art. Hand printed on the finest quality art paper. Embossed with "Crew Member" or "Owner's Edition", with your name, the name of the boat, and the event name and year, printed on the border. Your print is as individual as your experience. 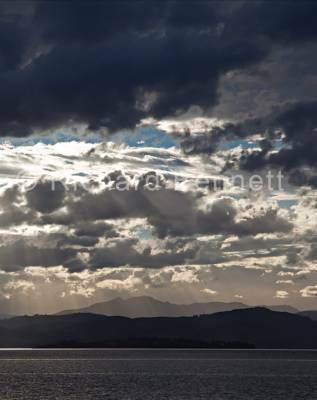 Select your image at Constitution Dock, Hobart, 27 December - 1 January or online.